Ask yourself this question: Can you run your car at 120 miles per hour? Absolutely yes, if that is the top speed of your car. But would you do it often? Probably not. Why? Because you will wear out your car very easily. But the more important thing is that it will be bad for your health. At that velocity, you are liable to run into trouble with the police. Or worse, it might get you into a hospital or even kill you, should you make a false move and run into an accident. It is the same thing with your airsoft gun. Yes, you can dry fire it because according to an answer on Reddit some airsoft gun manufacturers are making their guns capable of dry firing. However, others are quick to say that it is not advisable to do it often because you may damage its internal parts. Experts in airsoft guns say that dry firing an AEG is not bad, but it is not recommended. One of the major reasons this is not advisable is that when you have a BB inside the chamber, and you already got the piston compressed, the air that is compressed inside the chamber wants to force the BB out. This situation reduces the force or energy of the piston head that is poised to hit the cylinder head. If there is no BB inside the chamber and the trigger is pulled, the compressed air is forced out and the piston head hits the cylinder head with excessive force. This will induce undue stress to the cylinder head and the piston as well as the chamber and the other inner parts of the gun. So, if you want to mitigate this stress on the cylinder head, don’t dry fire your airsoft gun too often. However, if you really need to do it such as to clear your airsoft gun after a game, it is ok to do it. It should not be a big deal if that’s the case. Take it from an airsoft gun aficionado who has his reply published in Answers Yahoo. This person says that without a BB in the chamber of the gun, dry firing the airsoft gun will weaken its operations. However, if a BB is chambered, there won’t be as much damage if the airsoft gun is fired. But another person in the same forum gave the assurance that even regular guns are dry fired, so you can do it also with your airsoft gun. However, he also said that you should not do it often. He added that he does not buy a gun without dry firing it. Considering the effects on the airsoft gun’s internals, some would even dare to say that dry firing is really bad. For instance, Airsoft Canada says that dry firing is bad because there is no back pressure that will resist the piston head from forcefully hitting the mechanical box at full strength. It does not have the same effect if a BB is chambered in the gun. The back pressure is provided by the BB thus reducing the force that hits the mech box every time the airsoft gun is fired. If it is absolutely necessary for you to dry fire the gun, you should put on the muzzle cap. It will simulate the back pressure that a BB is supposed to provide. There will be times when your airsoft gun will dry fire unintentionally. This happens when you fire your gun and nothing comes out of it. If there is a magazine (with BBs) loaded, and you experience a dry fire, there may be a problem with the magazine. Airsoft Mega Store says that you need to remove the magazine and check if it is really loaded with BBs. If it is loaded mid-cap but will not feed, perhaps something is amiss. You may need to take it apart and clean the spring casing and spring. Perhaps some dirt or debris is preventing it from functioning properly. If it is in hi-cap, make sure that the BBs are wounded all the way up. If you have done all of these things and the magazine still will not feed, perhaps your airsoft gun is jammed. Your airsoft gun is supplied with an unjamming rod. Use it and press it down the gun barrel. This should clear the jam. 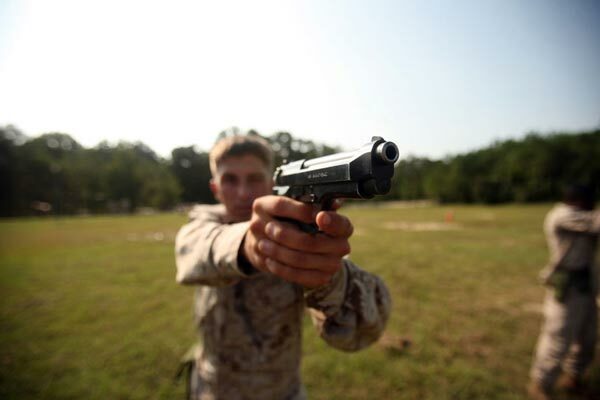 Check if the jam is cleared by firing a round. 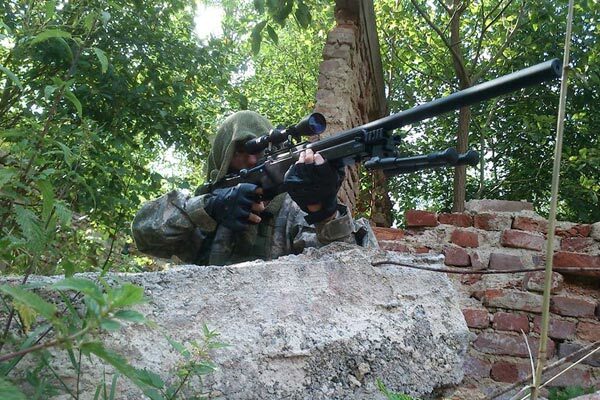 Springers are the name used to describe airsoft guns that are powered by springs. Pyramydair says that dry firing is not good especially for springers. This website says that these types of airsoft guns are prone to damage when they are dry fired. Springers depend on compressed air for a cushion to prevent the piston from forcefully hitting the end or bottom of the compression chamber. 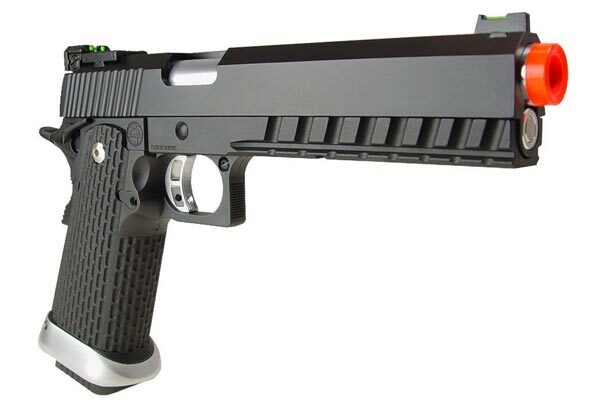 This website claims that there is one airsoft gun model wherein just one dry fire will ruin the gun because this particular model uses two pistons. In other words, the two pistons will deliver double the power that a normal spring-based gun will supply. If there is no air cushion in the chamber, the seals will be easily destroyed. Unfortunately, other airsoft gun models may also experience the same effects, says the website. If there is really a need for you to dry fire your airsoft gun, such as for practice before a match, you can absolutely do so. There are those who say that it will get you into the right frame of mind. But you also need to consider the information that was provided in this article. To help you better understand the subject of dry firing an airsoft gun, please watch this YouTube video. It will give you additional information about this subject. What Is Green Gas For Airsoft Guns?